I always have to have two ingredients whenever I eat seafood, lemon and tartar sauce, if I’m missing either one my food doesn’t taste the same. Like I’ve said in previous posts, we didn’t eat a lot of seafood when we lived in Colombia, so I had no idea what tartar sauce was until someone at a restaurant suggested I try it along with some fried fish I was having. At first I didn’t want to try it because I didn’t really get why a sauce made with mayonnaise would give my fish an extra kick, but as soon as I tried it, I fell in love with it. 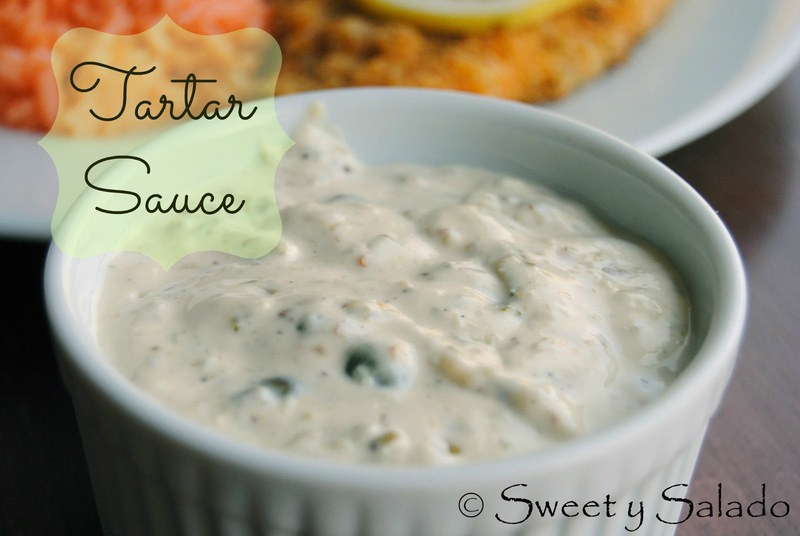 The best part is that making a homemade tartar sauce is easier than you can imagine and it comes out with a much better flavor than the stuff you buy in a bottle at the grocery store. In this recipe I use a food processor to mix everything so it comes out nice and smooth but you don’t have to as long as you finely chop all the ingredients well. 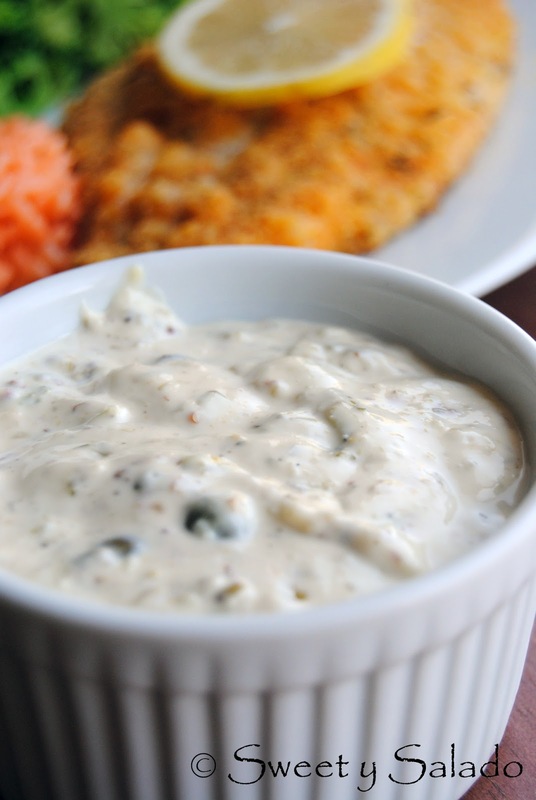 When you make this sauce at home you will see that it is the best side dish for a recipe like oven fried catfish. 1. Put all of the ingredients in a food processor and blend well. You can refrigerate sauce up to one week in the fridge. Inspired byFood Network’s Ina Garten.